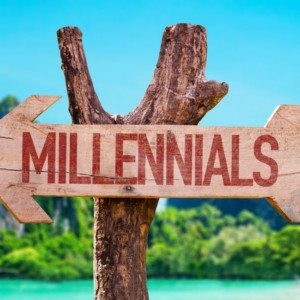 Millennial (born between 1981-1997) are the fastest growing customer segment in the hospitality industry, and by 2005 they will account for 50 per cent of all travelers. Much has been done to understand this market segment and how they research, engage and book. All point to a shift to digital media. American Express survey recently found that more than 72 % of Millennial travelers prefer to spend money on experiences than things. As they say “millennials redefine luxury experiences”. They love to travel to discover and experience! “Quality and time off are top priorities, so they are willing to splurge on luxury.” They are about to redefine luxury experiences & marketing. The article by e-hotelier concludes that to Millennials requires “a strong emphasis on empathy and personal customer connection.” Social media is a vital part now of any marketing to this sector and should be used to engage, build trust, loyalty and community. “Millennials get much of their news online, through blogs and whatever pops up when they are surfing the internet and especially Facebook. In addition, they pay attention to mainstream top tier media like Conde Nast Traveler, The Wall Street Journal, The Huffington Post and The New York Times. Those carry tremendous influence. The stories that appear online from such outlets are highly valued by Google, and indexed at the top of a search.” Articles published on the authority sites are highly influential and also create backlinks that are invaluable. We have noted before how important experiences are becoming and this article empathizes the need to create personal experiences. Personality branding that fascinates and connects with travelers is making great strides in winning the minds of traveleers who are looking for more personal holidays that reflect the qualities of their character. Lorraine has had a 30 year, award-winning, boutique travel PR firm in New York City and is at the forefront of trends affecting traditional and digital media. Her firm has represented such blue-chip names as Four Seasons and Hilton Hotels, as well as boutique properties across the globe and island destinations including St Barth’s and Necker. The agency’s affordable hotel PR and digital campaigns are designed to move the needle regularly gaining eye-catching feature exposure in such top outlets as The New York Times, Travel and Leisure and Conde Nast Traveler. For more information about this boutique New York City PR firm visit www.AbelowPR.com. You can contact her at Lorraine@AbelowPR.com or 203-226-9247.